I’ve been a fan of Radiohead since their inception. Albums like “The Bends” and “OK Computer” have long been a part of any best of list over the years. And when they changed their musical style with “Kid A” and “Amnesiac”, I followed along, even if it did take a few listens to grow on me. In 2007, they offered up a different method of obtaining their album “In Rainbows” – pay what you want. A lot paid nothing, some paid $5.00 and others paid a bit more [that would be me, paying around $11]. That album took a few listens to grow on me as well, but once it did, it ended up being topping my best of the decade list of albums. The new album, “The King of Limbs” keeps a similar distribution model, but omits the “pay what you want” price structure. From $9 for an MP3 version of the album all the way to $53 for a “newspaper” version of the album [you get physical vinyl plus a digital copy of the album]. I opted for the cheapest option, getting 320kbs MP3s. The album was released a day early, on Friday Feb 18, 2011. I downloaded it before heading to work that morning, synced all of my iDevices and then proceded to hear it a good six times – from start to finish – over the weekend. My first impressions are that it’s good. A bit on the softer side, when compared to previous albums, but it’s got some good potential so far. On my last listen this morning – the total tracking time is just under 38 minutes – a couple of tracks started to become familiar. “Lotus Flower” is one, with it’s catchy and consistent beats. And the chorus from “Little By Little” has found it’s place in that part of the brain where the words gets randomly repeated. I’m sure given the more I play this album, it will find it’s way into at least my best of list for 2011. But without jumping ahead, my only real negative so far is that it’s very focused on Thom Yorke. It seems to be missing some of Jonny Greenwood’s guitar work that I’ve noticed more prominently from previous albums. Maybe more listens will bring that out, but it is noticeably missing. So any other Radiohead fans out there? Any one dislike most of what Radiohead has done? Comment away with your thoughts on this new album. Bugger, I still didn’t pickup this album over the weekend. Tonight when I get home for sure. You will have to let me know how you like it. 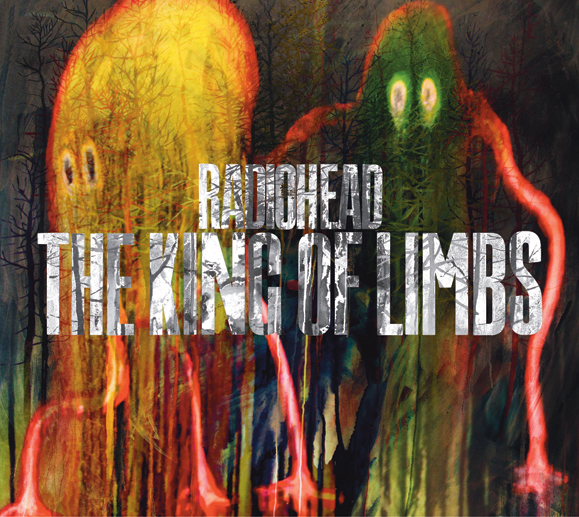 It always takes a little bit for me to fall in love with a Radiohead album. Not because I don’t like it, but because it takes awhile for me to be able to tell one song from another. But I’m liking it so far! Just not in love with it yet. You make a good point about their songs flowing into each other, sound wise. And not in love with it yet is a good way to explain my appreciation for it, too. Now- go tell Adam only rock stars should wear those hats – he won’t listen to me. HEY ADAM!! Only rock stars should wear those hats. Oh, you mean over on his blog. Doh! I did pick up this album but have yet to listen to it. I must remedy that forthwith. Curious to hear your take on it as a fellow fan of all things music.